When I was working as an English teacher in a high school, there was a co-worker who was bringing a bento (lunch box) with him every day. His wife was preparing it for him every morning, so he didn’t have to buy his lunch. When I was looking at his lunch box, I could see many kinds of okazu(side dish) and rice arranged beautifully. He didn’t buy lunch and he rarely went drinking after work, so he said that he never ran out of his monthly pocket money (20,000 yen). 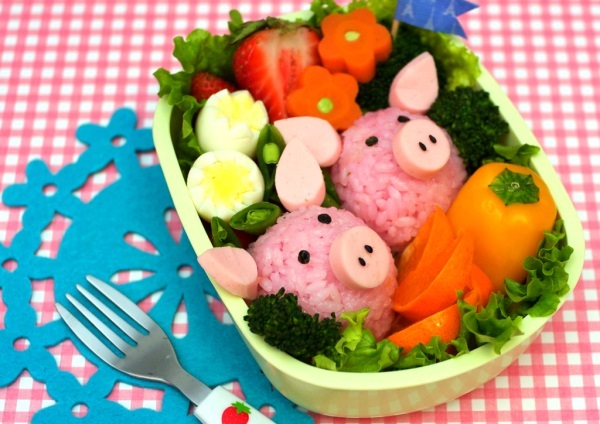 In Japan, mothers often make bento for their family. During my high school days, there was no school lunch system, so I had to bring my own lunch by myself and my mom was preparing bento for me. Making bento every day is actually very hard. If it was just about cooking rice balls or sandwiches, it would not be so tiring. However making a bento as beautiful as the one my coworker was bringing definitely requires quite a bit of time. You have to cook various side dishes in the early morning. Just thinking about this makes me feel tired. I have never prepared a bento for my husband. I have cooked some simple sandwiches before, but these were far from being traditional Japanese bentos. 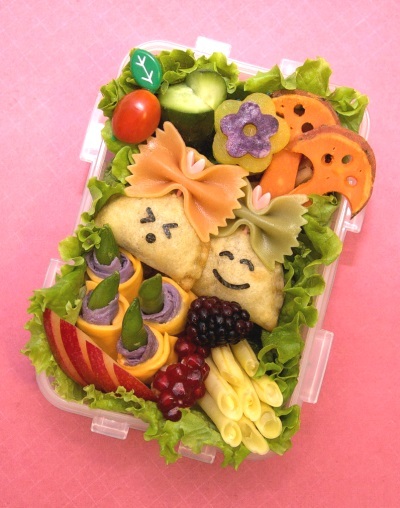 It seems he enjoys going to the restaurant for lunch with his coworkers, so he never asked me to make a bento for him. I am quite relieved about this and I secretly hope he doesn’t ask me to prepare some in the future.